The Christian Bible remains the most influential written work of Western Civilization, influencing language, government, economics, social groups, institutions, and culture. While many people own a Bible and some even read it on occasion, there are some things that you should know about the Bible that you might not have heard before. (1) The writings of Christian Bible were originally composed in at least two different languages: Hebrew and Greek. Most of the books of the Jewish scripture making up the Christian Old Testament were composed in Hebrew, although some of the later writings (Daniel and Ezra, for example) may have been composed in Aramaic (a sort of “modernized” form of ancient Hebrew). The writings of the New Testament were originally written in Koine Greek, the common language of the Roman Empire during the time of Christ (also noteworthy are the claims of some scholars who argue that the Gospel According to Matthew was originally composed in Aramaic). (2) Though most American Christians are familiar with the 66 book Biblical canon, there are actually different Biblical canons in use around the world. Almost all Christian New Testament canons are the same, including the Four Gospels (Matthew, Mark, Luke, John), the Acts of the Apostles, the thirteen letters of Paul (Romans, 1-2 Corinthians, Galatians, Ephesians, Philippians, Colossians, 1-2 Thessalonians, 1-2 Timothy, Titus, and Philemon), the Catholic Epistles (Hebrews, James, 1-2 Peter, 1-3 John, Jude), and the Apocalypse of St. John (Revelation). One notable exception to this rule are the Old Armenian Bibles, which for years included a Third Epistle to Corinth from Paul. The major differences in the Christian canon are in the Old Testament. Protestant Old Testaments include thirty-nine books: the Pentateuch (Genesis, Exodus, Leviticus, Numbers, Deuteronomy), the Historical Books (Joshua, Judges, Ruth, 1-2 Samuel, 1-2 Kings, 1-2 Chronicles, Ezra, Nehemiah, Ester), the Wisdom Literature (Job, Psalms, Proverbs, Ecclesiastes, and Song of Solomon), and the Prophets (Isaiah, Jeremiah, Lamentations, Ezekiel, Daniel, Hosea, Joel, Amos, Obadiah, Jonah, Micah, Nahum, Habakkuk, Zephaniah, Haggai, Zechariah, and Malachi). Following the lead of the Latin Vulgate, the Catholic Church includes Tobit, Judith, 1-2 Maccabees, Wisdom, Sirach, Baruch, and additions to Daniel. The Eastern Orthodox includes all the books of the Protestant and Catholic Old Testaments along with 1 Esdras (2 Esdras is composed of Ezra and Nehemiah), 3-4 Maccabees, the Prayer of Manasseh, the Letter of Jeremiah, additions to Esther, and Psalm 151. (3) All the books in the Protestant Old Testament are quoted or referenced in the New Testament, with the exception of Esther, Ecclesiastes, and the Song of Solomon. Interestingly, Esther and the Song of Solomon are the only two Old Testament books that do not have the tetragrammaton (the name of God, YHWH, often translated as LORD) in them. The words of Jesus found in the Gospels reference or quote Genesis, Exodus, Leviticus, Numbers, Deuteronomy, Psalms, Proverbs, I Kings, Isaiah, Jeremiah, Ezekiel, Daniel, Hosea, Amos, Jonah, Micah, Zechariah, and Malachi. Jesus appears to have been especially familiar with Deuteronomy and the Psalms. (4) The Bible is a VERY popular book. Not only is it the best-selling book of all time, but it consistently ranks as the most popular book sold every year. 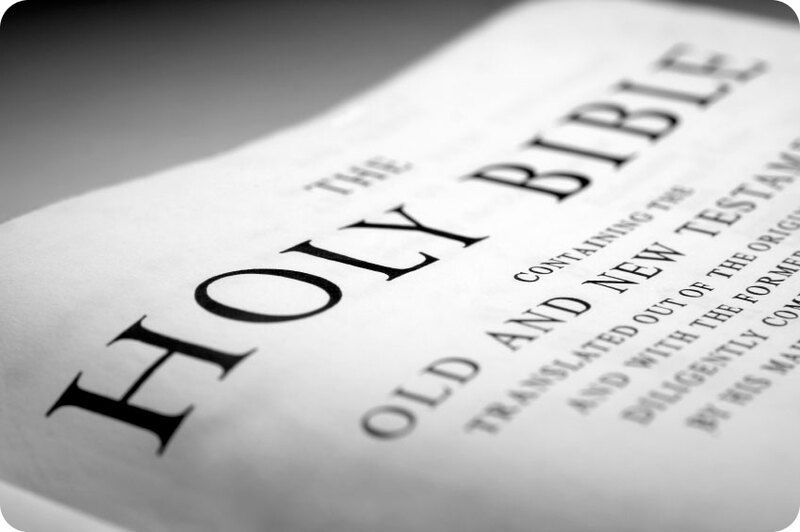 Approximately 25 million Bibles are sold or distributed in the United States every year. Additionally, the Bible has been translated into almost 2500 different languages with many more on the way (the United Bible Society is currently working on approximately 500 additional projects). Within some of these languages (such as English) there have been numerous different translations of the Good Book. According to the Christian Booksellers Association, as of 2013 the most popular English Bibles (by number of copies sold) were: the New International Version, the King James Version, the New Living Translation, the New King James Version, the Common English Bible, the English Standard Version, the Holman Christian Standard Bible, the Reina Valera 1960, the New American Standard Version, and the New International Readers Version. Each of these editions has their own translation style (ranging from formal to dynamic equivalence), vocabulary, reading comprehension level, and varies in their use of Biblical manuscripts. (5) While your Bible probably contains at least 66 books and is divided into chapters and verses, not all Bible have been like our modern Bibles. Before the invention of the printing press, Biblical texts had to be copied by hand, and were often grouped together in groups (such as “gospels” or “prophets”) instead of being in bound book form. For almost 1300 years the Bible didn’t have chapters, which were systemized by Archbishop of Canterbury Stephen Langton and Cardinal Hugo de Sancto Caro (we use Langton’s system today). Dividing chapters into verses didn’t occur until later, with the work of Santi Pagnini, whose work never caught on. Robert Estienne created the standard versification system in the 16th century. Advances in textual criticism have led to certain verses being “missing” from most modern Bibles (for example, Mark 16:9-20, Luke 17:36, Acts 8:37), in an attempt to keep the general versification format in place.